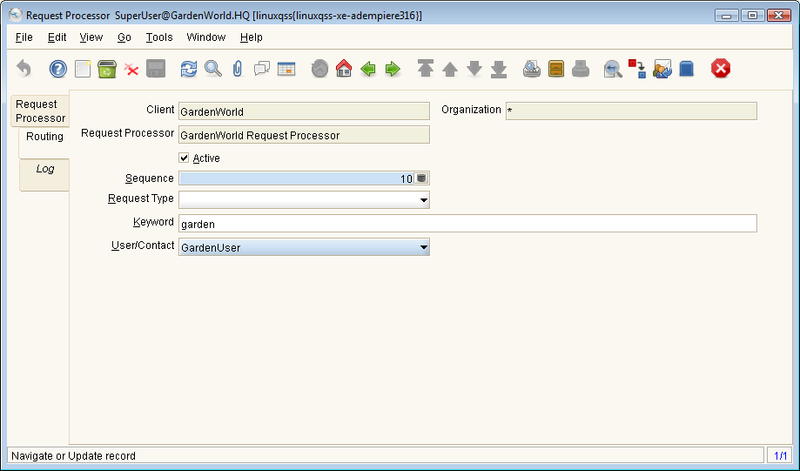 Help : The Request Processor Window allows you to define different processes that you want to occur and the frequency and timing of these processes A Request Processor can be just for a specific Request Type or for all. Help : The Request Processor Tab allows you to define processes that you want to occur and the frequency and timing of these processes. If no other user is found, the items are assigned to the supervisor. 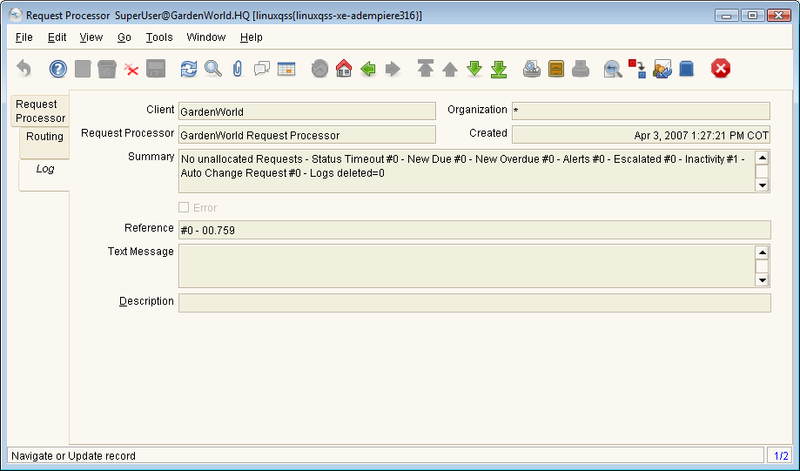 A Request Processor can be just for a specific Request Type or for all. Reminder Days Days between sending Reminder Emails for a due or inactive Document When a document is due ot too long without activity, a reminder is sent. 0 means no reminders. The Remind Days are the days when the next email reminder is sent. Help : Define the sequence of request types and keywords and to whom the web and mail requests should be routed to. The keywords are separated by space, comma, semicolon, tab or new line. The first match wins (first request type then keyword. 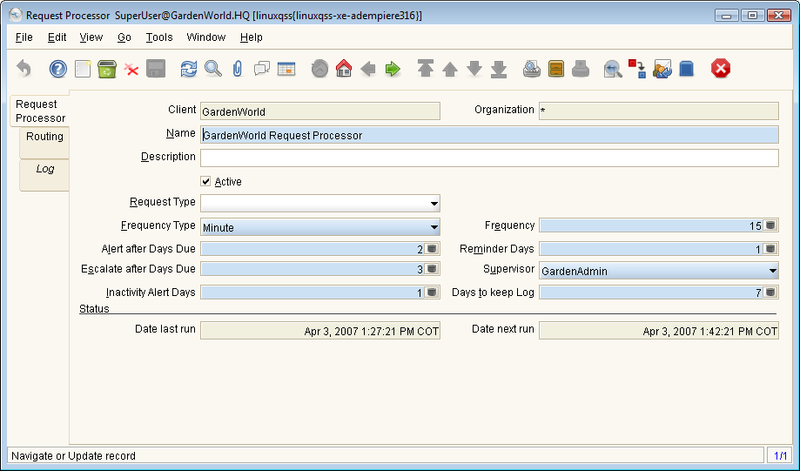 The Request Processor is a server process that runs according to the parameters given in this window. Not implemented yet. Maybe is for integrating the EMail Request Processor in future. Change the status of requests to next status according to the parameters on "Request Status" when timeout is reached. Send alerts for due and overdue requests, it takes account of the Remind Days and Overdue Alert Days. Escalate the due requests according to "Overdue Assign Days"
Send inactivity alerts according to "Inactivity Alert Days" and "Remind Days"
Beta Functionality, related to BOM Change Request. Delete the registers from the processor log where "Keep Log Days" is reached. This page was last modified on 22 March 2007, at 23:58.